Sunday, November 18, 2018, 9:30 a.m. Your kids won't want to miss this holiday breakfast! 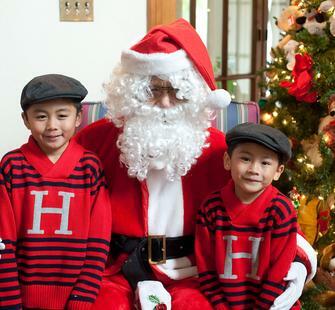 Meet Santa himself and receive a special gift from him; take photos and do fun holiday crafting activities. A delicious pancake breakfast will be served, including fruit, juice, and all the fixings. Note: Breakfast is for children ages 4-8. No ticket required for adults, but meals will not be provided (complimentary coffee and tea will be available).